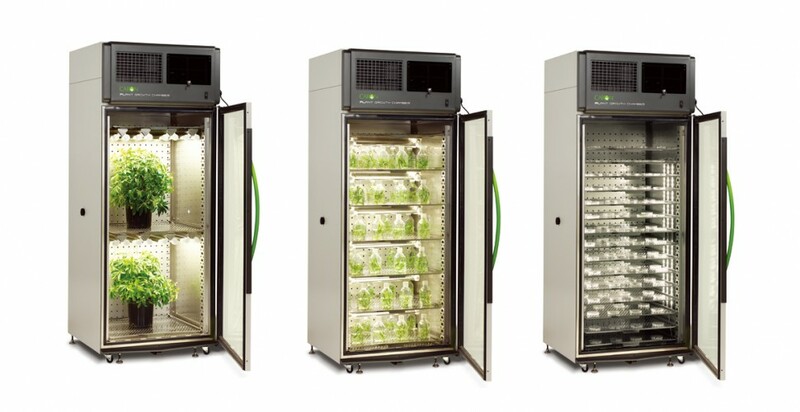 Caron offers a full range of plant growth chamber options, from high-intensity three-door 4-color LED chambers to single-door multi-shelf fluorescent plant tissue culture units. With the latest lighting technology, LED units offer low heat and the flexibility to treat light as a true experimental variable. Fluorescent units are economical to acquire, and incorporate tried and true lighting components. All chambers provide repeatable performance, are extremely easy to install and use, and feature resource-responsible systems that reduce long-term cost of ownership. Choose from a wide range of chamber sizes, growth heights, and light intensities, tailored to meet your capacity needs and growth requirements. Caron’s Insect Rearing chambers chambers are optimized for rearing drosophila and other flying insects. Designed for durability, they feature an electrostatic-coated refrigeration coil, and an all stainless steel chamber. Caron’s “clean chamber” approach includes a snap-out interior, and an optional two-hour H2O2 sterilization cycle that completely eliminates mites and mold. Optional LED lighting includes both full-spectrum and narrow spectrum “no blue” drosophila-specific variants, and external controlled humidification is also available. Caron’s Animal Rearing chambers are optimized for housing small animals. Built around a “clean chamber” approach that makes eliminating parasites, viruses, and mold easy, the 7350 series features a snap-out interior, and an optional exclusive two-hour H2O2 sterilization cycle. Standard broad-spectrum LED lighting and intuitive diurnal touchscreen programming, combined with a roomy chamber design and adjustable-volume fresh air exchange system help make these units even more effective and easy to use.